Isabella Bird, an Englishwoman whose extensive travels and writings earned her the first female membership of the Royal Geographical Society, visited Malaya, Singapore, Indo-China and Hong Kong in 1879. 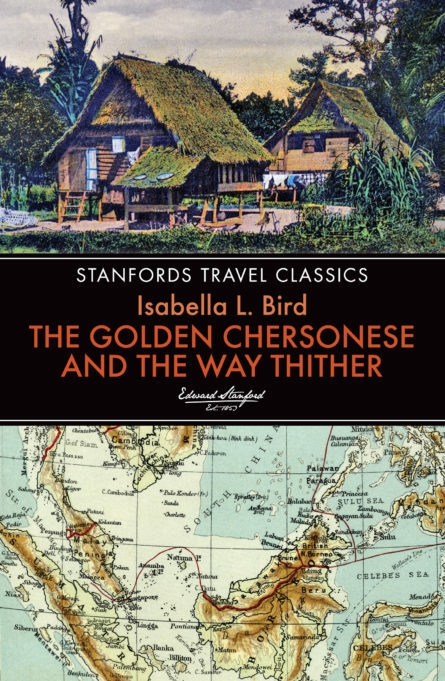 She wrote 23 letters describing her adventures to her sister Hennie in Scotland, and named the collection The Golden Chersonese after the ancient name given to the Malay Peninsula by the Greek scholar, Ptolemy. Her detailed descriptions of the Malay Peninsula in the 1870s are in startling contrast to present-day Malaysia and Singapore, and provide a fascinating account of many aspects of the region, including the people, culture, landscapes, and wildlife, all described with the Victorian stiff upper lip typical of her time.